In the face of relentless competition from the even more ephemeral world of new media, posters continue to obsess us. And that obsession has a new home in the American heartland: the First Chicago International Poster Biennial. 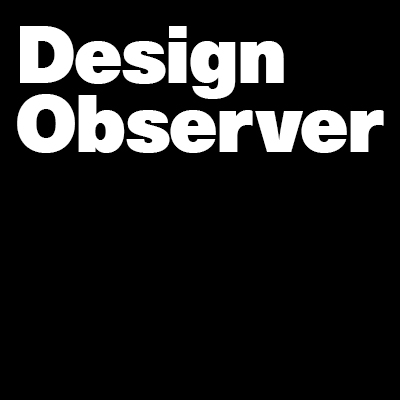 Design Observer is pleased to be an official sponsor, and to publish here 31 of the winners of the 2008 competition. These posters are going live today in Chicago, opening as a public exhibition in Daley Bicentennial Park that will run until October 29. A world-renowned jury of 11 poster designers selected winners. John Massey, jury chair, led an international jurors that includes Michel Bouvet of France, Shigeo Fukuda of Japan, Yossi Lemel of Israel, Alfred Halasa of Canada, German Montalvo of Mexico, Yann Legendre and Jay Ryan of Chicago, and Luba Lukova, Lanny Sommese and Martin Venezky, also of the United States. More about the jury is here. Official sponsors and partners include Smart Papers, Design Observer, Society of Typographic Arts, Graphic Arts Studio, Handler Thayer & Duggan, JCDecaux, Mohawk Fine Papers, STEP Inside Design Magazine, Tanagram Partners and World Business Chicago. I wasn't prepared to say this: Wow! I'm seriously impressed by these selections. I'd say that 27 out of the 31 slides blew me away. I've got to head downtown, I guess! Will this outstanding poster exhibit travel through out the world? Is there going to be a catalog? If you googled "beautiful and inspiring work" these examples should pop up at the top of the list. I admire the range and styles of all the posters. The diversity of countries that is represented is wonderful and goes to show you great design can be found on all corners of the globe. Tomasz Boguslawski's Titus Andronicus poster is truly epic. I second the comment by Panasit. Genius Polish work. The Iranian stuff is inspiring as well. Beautiful! I was disappointed by the AIGA Bring Out The Vote 08 posters. This is the kind of work we need. Elegant and Effective. Yes, there will be a catalogue. It should be available to order online at www.chicagobiennial.org by the end of October. It will feature not only the 162 finalists and 5 medalists of the Biennial but also commentary by Victor Margolin and Steven Heller, an introduction by Todd Lief, a photographic report on the judging of the show, and bios and work of the jury members. Sorry the catalogue is late. We received sponsor commitment (thank you SMART Papers) on Friday the 19th, ordered the materials for the exhibition, called for volunteers on Tuesday, built the exhibition Wednesday and Thursday, and installed it on Friday... finishing just as the sun set. The catalogue will be printed by Graphic Arts Studio in Barrington, IL on SMART Papers. We have two sets of posters so, yes, the second set will be available as a traveling exhibit. As soon as we receive interest from a gallery or museum that can cover the costs of preparing the collection for archiving and travel, it will be moving (at least for the two years until the 2010 Biennial). I am very impressed by the range of creativity of the individuals and the contrast in the styles that come from each person and country. These are all so brilliant. A few seemed expected and some even dated n their appeal—but what was most exciting was to see the assortment and variety of brilliant work. Nice to see Poland is still healthy in the poster scene. Long live! An awesome, inspiring show. Photos of the exhibit in vitro. How wonderful to see examples from eastern countries. an unexplored (for me) journey of typographic awesomeness. I can't recall as I quickly photographed the venue and had to leave the scene having to be somewhere else. It "felt" like "more than several" Middle Eastern countries displaying peace posters. We see one as a finalist in the slide show. Lance can be more precise on this one. Nothing wrong with a little more Peace in the world. The vast majority of poster entries from the Middle East were sent from Iran. As you might imagine, large, heavy poster tubes from Iran spent several weeks passing through customs. We could tell all of them had been opened. The Iranian poster seen is very healthy, and Tehran has just completed its own Biennial's ninth edition. You can see additional posters from this exhibit. These posters specifically contain animal images to celebrate World Animal Day, 10/04. See the animal posters.